Think a trip to Southern Africa is all about driving around in a Jeep looking for wildlife? These unbelievable experiences will make you think again. 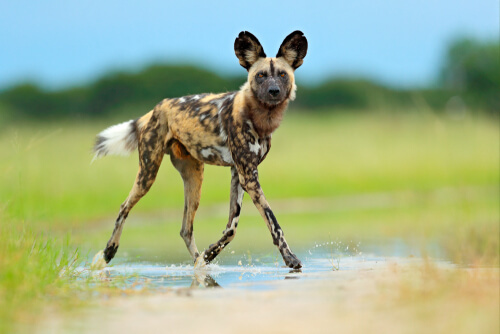 Southern Africa is a diverse region, offering thrilling wildlife encounters set against spectacular landscapes. While game drives are the highlight of many itineraries, there’s plenty of other unforgettable activities on offer, too. 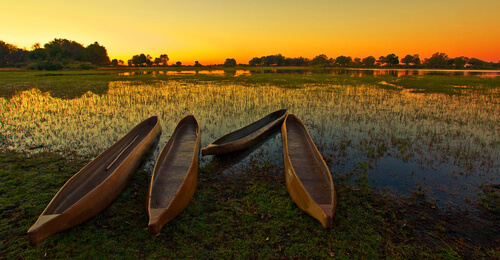 The locals say the Okavango is best viewed from the water, so swap an open-topped safari vehicle in favour of an afternoon boat cruise or paddle in a makoro (traditional dugout canoe) on the Chobe River. From the water, you’ll spot big and small game alike: Chobe National Park is currently home to some 120,000 elephants who love to frolic at the water’s edge as well as sizeable herds of buffalo, antelope, wildebeest and much more. Paddling along silently in a makoro means you don’t alert game to your presence – keep an eye out for hippos that are known to quietly emerge from the water to observe as you cruise past. Witness dawn break across one of the world’s most magnificent vistas, the Okavango Delta in Chobe National Park, from the sky. See the water shimmer in the morning light and keep your eyes out for all kinds of wildlife – the near-silent nature of hot air ballooning means game isn’t easily alerted to your presence. An expert pilot leads adventures and will also point out significant landmarks, wildlife, trees and more. On landing, a crew who have been tracking your journey will greet you with Champagne and morning nibbles. Game drives are an integral part of any safari. 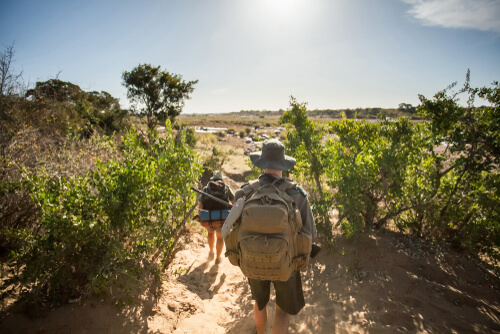 However, a guided bush walk allows you to truly soak up the sights, sounds and smells of the bush. Led by qualified rangers and often accompanied by a professional tracker, walks allow visitors to get up close and personal with bugs, spiders, plants and trees. Learn how to read spoor (animal footprints) and discover plants that have medicinal properties. Walking through the African bush, not knowing which beady eyes are watching you go by, is an experience second to none. Zimbabwe borders Botswana and many safari itineraries take in both countries. The Victoria Falls is one of the natural wonders of the world which also forms the natural border between Zimbabwe and Zambia – on one side is the town of Victoria Falls, on the other is Livingstone. It’s easy to access the Falls from either town: take a stroll along the wooden walkways and be wowed by the thundering water as you’re shrouded in the watery mist. The area is also an adventure playground with the world’s most scenic bungee jump – a 111m plunge from the Victoria Falls Bridge, and thrilling white water rafting expeditions. Alternatively, experience a scenic evening Zambezi River boat trip or a helicopter flip over the Falls to witness ‘the smoke that thunders’ from the sky.